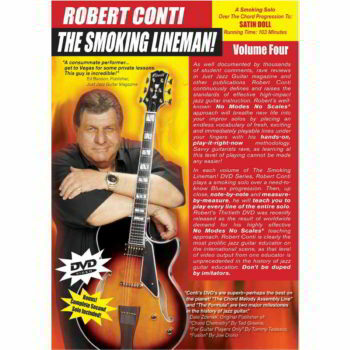 A song that needs no introduction, yet so many guitarists struggle to improvise over the chord changes. 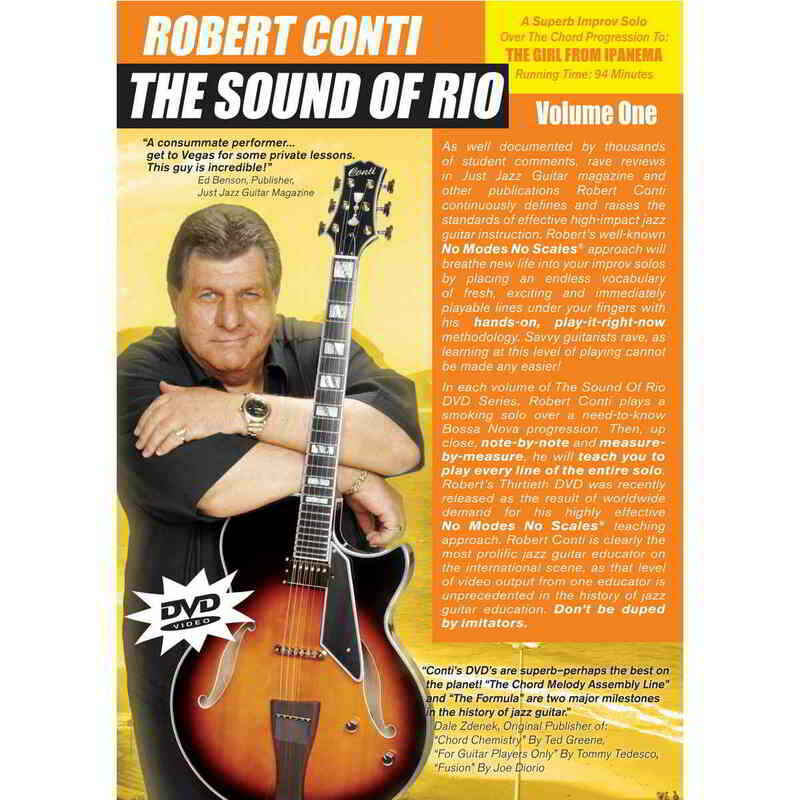 Conti is right at home with Jobim tunes and he’ll get you playing immediately. I am doing very well with the DVDs, they are some of the best products I have ever purchased, not just because of the DVD style teaching but also because the guitar licks/lines are really great – they are timeless jazz lines that Conti has learned over many years of experience and street playing – that you really can’t get anywhere else. I will purchase the rest of the improv series. Just received Girl From Ipanema DVD and Source Code Book 4. This material is so good I now want to order more (which I will do very soon!) Great value, great product, great attitude—Thank you all! 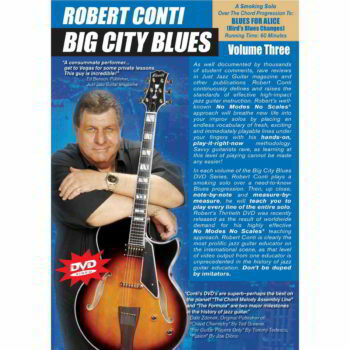 I am doing very well with the DVDs, they are one of the best products I have ever purchased, not just because of the DVD style teaching but also because the guitar licks/lines are really great – they are timeless jazz lines that Conti has learned over many years of experience and street playing – that you really can’t get anywhere else. I will probably purchase the rest of the improv series.